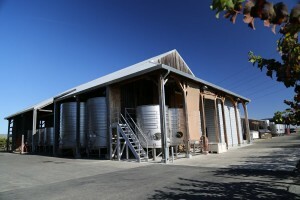 Saintsbury Winery was founded by Richard Ward (died in 2017) and David Graves in 1981. Incidentally they both met during their graduate studies in Enology at UC Davis while taking a brewing class together. Fate sometimes works its magic – David had a biology degree from UC Santa Cruz and Richard had an engineering degree and both were pursuing careers in the wine industry. 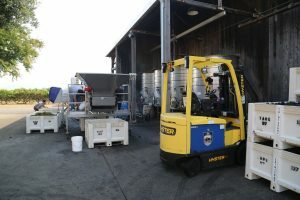 Before starting Saintsbury, they both gained hands on experience in the industry by working together at several Napa wineries. The property where the winery is located was grazing land at the time of their purchase. Besides the estate property, they also own two other vineyards in the Carneros area and in addition source grapes from nearby vintners. Their first vintages were Chardonnay (this paid the bills) and twice as much Pinot Noir which was the wine they both enjoyed and were most focused on making. Today Pinot Noir and Chardonnay form the bulk of their production; they produce a number of different styled wines from both varietals. While their estate vineyard (surrounding the winery) is planted to 12 acres, they only use some of this fruit and sell off the rest. We were told this vineyard was one of the early vertical trellised vineyards in all of Napa. The majority of their wines are from various sources in Carneros (both on the Napa and Sonoma sides) and other parts of Sonoma County including the Russian River Valley and Sonoma Coast. There are just a select number of Napa wineries that we invariably recommend for Pinot Noir lovers – this is definitely one. For first time visitor’s to the winery, the initial reaction was how small the actual winery looks. 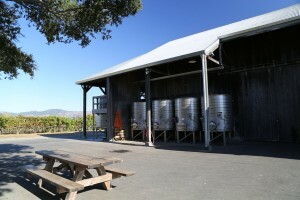 In reality, during the height of their production at least half of their production was at a winery warehouse near the town of Sonoma. They no longer make their wine in Sonoma as they have since consolidated their wine making and have downsized production – as of our last update they are producing around 20,000 cases annually. During the height of their production they were producing somewhere over 60,000 cases annually. Part of that production was for their Garnet Pinor Noir wines which they sold in 2011. 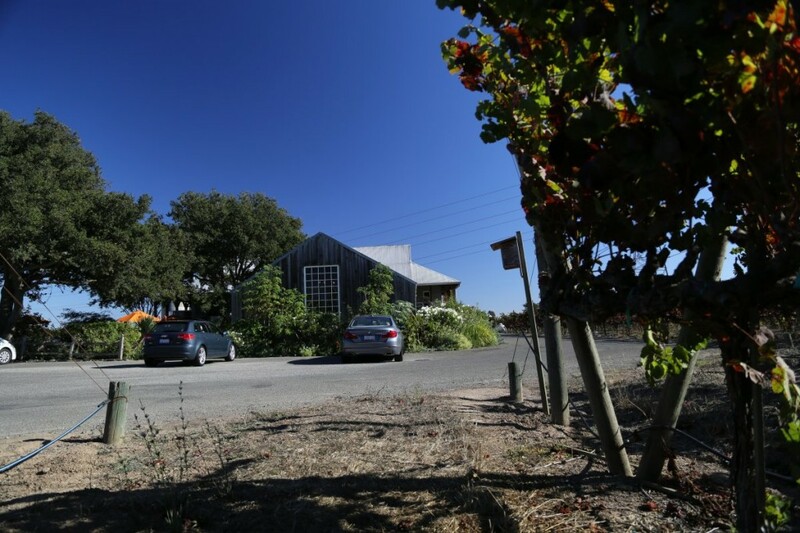 Saintsbury was also associated with the Brown Ranch (also in Carneros) for about 20 years having planted and managed that vineyard property – until it was sold in 2013. The winery is located about a 1/2 of a mile from the often super busy Carneros Highway – but a stop here feels worlds away. Vineyards surround the winery (mostly Pinot Noir) and a visit is refreshingly always about the wine with no fancy gift shop or fancy artwork, just a simple uncluttered room for tasting wine. 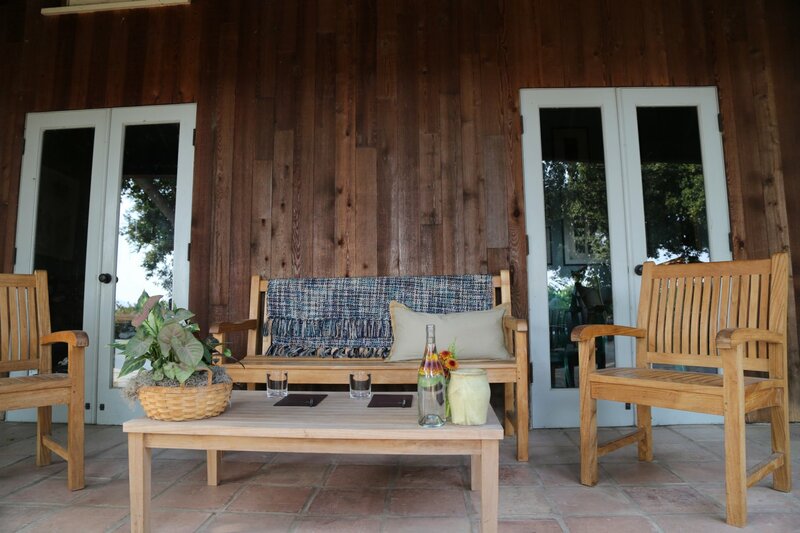 Weather permitting, a number of small tables and chairs are setup outside in the shade of the trees – this is a nice place to relax on one of those rarer hot Carneros days that this part of Napa sometimes experiences in August or September. Instead of naming the winery after themselves as many wineries have done, they chose to name it after a professor in England who was famous for writing his “Notes on a Cellar” book and some of his quotes appear on the wine bottles. Their Pinots are world class and they have an excellent selection of these mostly from the Carneros region. Your tasting will typically include a majority of their Pinot noir production. Their wines are categorized into three categories; Appellation wines, Vineyard Series Chardonnay and a Vineyard Series Pinot Noir (vineyard designates). Normally you will begin your tasting with the Vincent Vin Gris (a play on words with Vincent Van Gogh – note the Van Gogh style painting on the label). Vin Gris Saignee is a French style of wine made in Burgundy where the juice is bled off before the fermentation actually begins. Saintsbury was among the first of the Carneros Pinot Noir producers to make this wine. The first vintage of this was in 1989 when lots of rain during harvest swelled up the fruit and they needed to find a use for the extra “juice”. All the juice for this wine is fermented in barrel. The 2007 is a light easy drinking summer type wine with a nice mouth feel and notes of raspberry and strawberry on the palate. We tried two of their Chardonnays, the 2006 Carneros and the 2006 Brown Ranch. The Carneros is unfiltered – during an experiment in the early 1990’s they made both a filtered and an unfiltered Chardonnay and decided they liked the flavor better of the unfiltered one. The rather subdued bouquet leads you to believe there may not be much fruit showing on the palate. Not true, there are nice fruit driven flavors including pear and citrus. The Brown Ranch is slightly more complex of a Chardonnay with a creamy textured mouth feel. Only the best lots of fruit are used for this wine. It shows very pleasant fruit flavors including ripe apple, pear and more subtle citrus notes. This is our favorite of the two wines. Because Sainstbury makes a variety of Pinot’s we spotlight just a few here. The Carneros Pinot Noir is by far their most produced wine. The 2006 vintage is a very well balanced wine with not one aspect dominating. Lively acidity, bright fruit and nuances of tart cherry make this an excellent wine to pair with food. The 2006 Toyan Farm Pinot Noir has a very elegant nose with notes of candied fruit and raspberry. This wine is all about the balance with the delicate tannins on the finish anchoring the nice fruit on the palate, most notably cherry and plum. 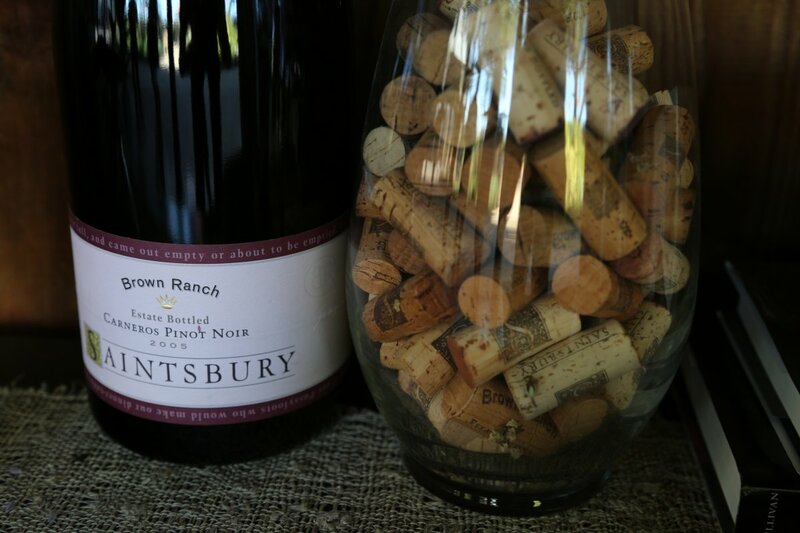 The 2006 Brown Ranch Pinot Noir is the darkest of the three wines we tried and is produced in fairly limited quantities compared to most of their other wines. There is almost a herbal and tea like quality to the nose with dark fruit aromas that carry over to the palate. If you walk around the winery, check out the almost 7000 square feet of large raised solar panels in the back. They have distributors in all 50 states and a number of International distribution as well including Japan and parts of Europe. The 2015 Stanly Ranch (a historic nearby ranch originally planted to vines in 1870), Dijon 115 Pinot Noir is fruit forward with pretty aromatics including blackberry, raspberry, plum and subtleties of mocha in the background. Fairly soft on the entry but soon packs plenty of flavor. Layered with depth, shows both dark and red fruit including plum. Very clean finish. We have a company set up to help find solutions to sustainability. I read the September 06, 2014 article, from Napa Valley Register, on the Winery Waste water problem. the hyper-accelerated composting equipment which eliminates commercial food waste onsite within 24 hours. 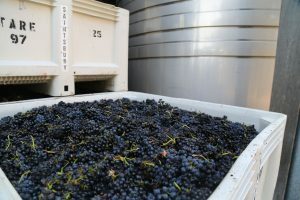 Add your wine waste water to the chamber, it grinds, bubbles air, and , add’s a Bio-Mix to the process, does not need water. After 24 hours you will have 185 gallons of high grade Grey water left over for every ton of waste added. Now you take the water and use it in your field. The Waste water is now your grey water solution. We are based out of San Diego county. Purchased two bottles of Chardonay, neither had corks, just a seal. Was this a fluck or new technology?